Executive and Legislative Councilor Regina Ip Lau Suk-yee used several interesting words last week during an English language radio interview about Hong Kong’s housing crisis. The word “crisis” can be used in several ways but used this way it means a very difficult or dangerous point in a situation. Everyone knows Hong Kong’s housing situation is in a crisis. Home prices have been rising every month for several years. 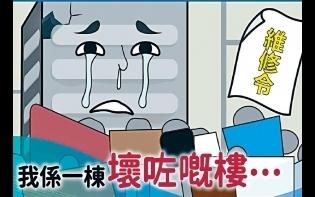 Most Hong Kong people cannot afford to buy a flat. Rents are also rising. Hong Kong people are divided over how to create more land for housing. Chief Executive Carrie Lam Cheng Yuet-ngor formed the Task Force on Land Supply to consult the public on different proposals to create land. Proposals include land reclamation outside Victoria Harbor, using the fringes (outer edges) of country parks, and using the Fanling golf course. Ip Lau Suk-yee criticized the Task Force on Land Supply as a government smokescreen to get public consensus (general agreement). During a war, soldiers sometimes create smoke to hide their activities. This is a smokescreen. But the word “smokescreen” also means something that is created to confuse or mislead people. Ip Lau Suk-yee meant the government created a task force to mislead the public because it is not possible to have public consensus on land supply. 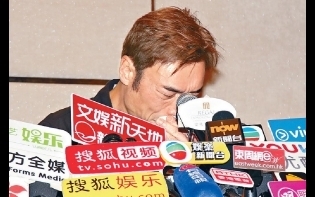 She said the proposal to use the Fanling golf course was a red herring. A red herring is a type of fish which turns red when salted and cooked with smoke. But the word “red herring” also means something irrelevant that takes attention away from the main issue. Ip Lau Suk-yee said the proposal to use the Fanling golf course for housing is a red herring because it cannot create much land. She said land reclamation is a surefire formula to create enough land to solve Hong Kong’s housing crisis. The word “surefire” means certain or very likely to succeed. Regular exercise and a healthy diet are surefire ways to avoid becoming fat. ﻿又中又英——wouldn’t miss it for the world.